New Delhi : Lamborghini has launched a facelift version of the Huracan in India at a price tag of Rs 3.73 crores (ex-showroom). Named as Huracan Evo, the supercar has been upgraded with better styling, aerodynamics and a more powerful engine. The 5.2-litre naturally aspirated V10 puts out 640hp (30hp more than the outgoing model) and 600Nm of torque. Claimed time for the 0-100kph sprint is 2.9sec while 0-200kph is dealt with in 9.0sec. The top speed, at 323.5kph, remains unchanged. 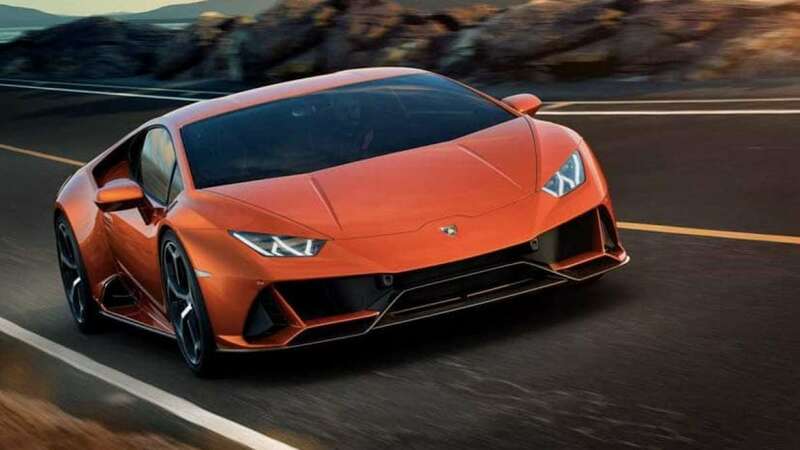 The supercar has been given an all new front bumper, rear bumper, rear diffuser and new twin exhaust pipes that are positioned higher up, like the Huracan Performante. A new chassis control system, known as Lamborghini Dinamica Veicolo Integrata (LDVI), has also been placed in the Huracan Evo. The new system is designed to monitor and control every aspect of the supercar’s dynamics like acceleration, roll, pitch and yaw rate. The biggest attraction in the car interiors is a big 8-inch touchscreen placed in the centre console. The screen comes equipped with Apple CarPlay and an advanced voice command system. A dual-camera telemetry system with a high-capacity hard disk is a new option offered with the Huracan Evo.